Welcome to my website! Please get in touch with me if you don’t find what you’re looking for. In August 2018 two Holy Land poems were published in Scintilla’s The Patterns of Place: Seeking Shelter; Finding Home special issue! On July 1, 2018 I launched my blog. In February, two more Holy Land poems were published online, one a week after the other! Wow! I’m delighted to have my found poem, “Meting Out Justification: A Military’s Judge’s Testimony” in the PROP! issue of Blotterature and “On Arafat’s Yahrzeit” published in the Social Justice poetry section of HEArt Online Journal: Human Equity through Art! In November 2017 “Not Seeing the Friend of God,” one of the Holy Land poems, was published by Scoundrel Time! I’m also the subject of a Student Spotlight on 24PearlStreet Sidewalk Talk blog. Check it out! 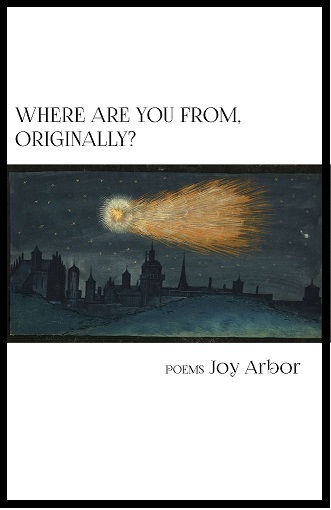 My chapbook, Where Are You From, Originally?, is available from Finishing Line Press and, of course, Amazon.